Just a few weeks after adding a VideoRay ROV to their search and recovery team, the Summit County Sheriff’s Office successfully recovered David Bass from Steamboat Lake in Colorado. Colorado State Parks called Summit County Sheriff’s Office to ask for assistance in the recovery of Bass, who was on a camping trip. Summit County arrived with their new VideoRay Pro 4 ROV and search dog, Recco, just before midnight to locate and recover the victim. Recco was able to signal a few alert spots and, in conjunction with the “last seen” location, Summit County determined their search area. They immediately and rapidly deployed the VideoRay to locate the victim in about 10 feet of water within an hour of Summit County’s arrival. The victim was located with the video-like image provided by the Pro 4 system’s BlueView sonar, and secured with the manipulator arm. The body was recovered completely via ROV – the manipulator grabbed hold of the victim’s shirt and Summit County operators used the tether to pull the body to the surface, without requiring human diving. On Monday, June 11, 2018, the body of Joseph Bennett Fedick was found and recovered after he capsized in his canoe Saturday. The St. Louis County Rescue Squad, equipped with a VideoRay Pro 4 ROV, was called in to assist the Lake County Sheriff’s Office with the recovery. Fedick’s body was located with the rescues team’s Marine Sonic Side Scan and then inspected and recovered with the VideoRay ROV. The event happened at the Perent Lake, located in the Boundary Waters Canoe Area (BWCA). The St. Louis County Rescue Squad was flown in by the US Forest Service as sometimes there are no roads/difficult to access roads to get to such secluded areas. Below, you can see photos of the amphibious plane and VideoRay ROV flying in to assist. The portability and size of the Pro 4 made it the ideal tool for this recovery as it is easy to transport and it is compact enough to fit inside a small plane. 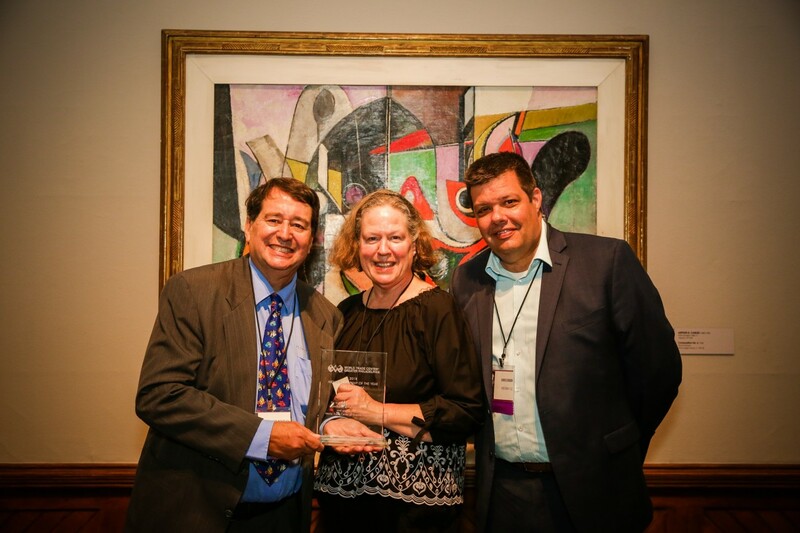 VideoRay is proud to be a part of this milestone for the Colorado team! Ercomar, in conjunction with VideoRay, has donated a Pro 4 ROV to a high school in Maullin, Chile, where aquaculture is a major industry. Ercomar owner, Erwin Colillan, worked with VideoRay to provide the high school with technology that will guarantee a safer work environment for the students when they enter the workforce after graduation. The future of the world is in the hands of the youth, and proper education in all possible fields is essential to the survival and improvement of the world, both now and in the future. ROV operator courses will be added to the students’ aquaculture curriculum, resulting in a certificate in aquaculture and underwater robotic operations upon completion of the course. Including advanced technology courses in young people’s curriculums better prepares them for future employment and success in Chile’s aquaculture industry. VideoRay is proud to have partnered with Ercomar to develop a modern, technologically advanced aquaculture environment for the students of Maullin, Chile. Read the full article (in Spanish) here! The ceremony, which is dedicated to recognizing global achievement of the Greater Philadelphia region and celebrating local business leaders who have made a significant contribution to regional and national economic growth through international trade, was held on World Trade Center’s Day, a worldwide celebration of the contributions to peace and prosperity made by World Trade Centers across the globe. Baltimore PD uses VideoRay ROV to recover a missing body after two weeks of searching with divers. The ROV provided a quick, safe, and effective solution—the body was found within minutes with the underwater technology. VideoRay is proud to add The Directorate of Fisheries in Norway to our extensive list of worldwide customers. Thank you Buvi for the story! Read more about our newest customer here! Click here to read our feature in Sea Technology magazine regarding Oceanology and the Mission Specialist Series (MSS) Defender release. A VideoRay Pro 4 was used in Chile to locate the body of a missing 21-year-old. On February 25, a friend of the victim reported them missing after they were swimming in a lagoon and the friend began to struggle and went under the water. The GOPE Special Police Operations Group was called to the site to use their Pro 4 ROV to search and recover the missing person. The water had very low visibility, which caused the pilot, 1st Corporal Patricio Galaz, to rely on sonar to help find the body. The body was found with the ROV and retrieved by a pair of divers. Another successful mission for the VideoRay Pro 4 ROV in Chile. El día domingo 25 de febrero de 2018, ocurre la desaparición del joven chileno de iniciales M. A. C. A. de 21 años oriundo de la ciudad de Copiapó (región de Atacama) en el sector de “Tranque de la luz de Curauma” ubicado en la localidad de Placilla (región de Valparaíso). Un amigo de la víctima, dio aviso a Carabineros de Chile de que M.A.C.A. en circunstancia de haber estado nadando en dicha laguna, que no está habilitada para el baño, se percata que su amigo, al mirar hacia atrás se estaba ahogando, si bien se intentó rescatar con ayuda de otras personas, nada se pudo hacer para sacarlo a flote. Es por esto que se solicitó por parte de la fiscalía que se constituyera el GOPE VALPO., el Grupo de Operaciones Policiales Especiales se presentó en el lugar, quienes para lograr un óptimo trabajo utilizaron un robot subacuático ROV PRO4 piloteado por el cabo 1º Patricio Galaz, debido a la escasa visibilidad en las profundidades, una de las características principales del ROV es que cuenta con un sonar que permite graficar el fondo de la laguna logrando así tener una panorámica de lugar optimizando el procedimiento, con el cual se logró el objetivo de localizar el cuerpo y posteriormente recuperarlo a través de una pareja de buzos. With Defender production fully underway, VideoRay is producing and delivering the Mission Specialist Series ROVs at a rapidly increasing pace. The newest configuration, the Defender, has been delivered to Aquaculture, Research, Military, and Commercial customers. With multiple customers completing missions in various fields, we understand the importance of an efficient production process resulting in a quality product. The Defender's robust features, versatile instruments and tools, sophisticated autonomous software, and powerful thruster configuration are proving that compact ROVs can do more challenging tasks than ever before. The Defender has been the most successful new product launch in the history of ROVs and will only continue to improve from here. Formed as an Engineering and Project Management Company in 2002, Proceanic diversified into underwater inspection services in 2013. Working with VideoRay technology to provide reliable and cost effective UWILDs and inspections of floating and fixed marine and offshore assets, Proceanic quickly established a recognized and trusted brand and now has a track record within the industry that is second to none. Starting with the Pro 4 ROV technology, Proceanic developed procedures, integrated tools and most importantly, field experienced pilots, to provide Underwater Inspections In Lieu of Dry-dock (UWILDs), and Tank Internal Inspections and ultrasonic thickness gauging. Although the Pro 4 is a proven, work-horse technology, it’s small size (a benefit in most applications) meant that offshore inspection and intervention became increasingly challenging as Proceanic (and Proceanic Clients) placed more arduous tooling and operational demands on the ROV. Enter the Mission Specialist Series (MSS). 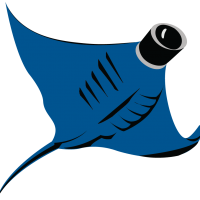 The Rozalia Project, an organization whose mission is to clean and protect the ocean from harmful debris, has a VideoRay Pro 4 named Hector the Collector. Equipped with a standard manipulator, BlueView sonar, Lynn video enhancement, and Smart Tether, Hector the Collector and the Rozalia Project are refreshing our ocean one piece of debris, one student and one solution at a time. Founded by Rachael Miller and her husband, who share a passion for a clean ocean, the Rozalia Project does more than just remove trash from the ocean. The goal of this organization is to educate, research, prevent, and protect the marine ecosystem. 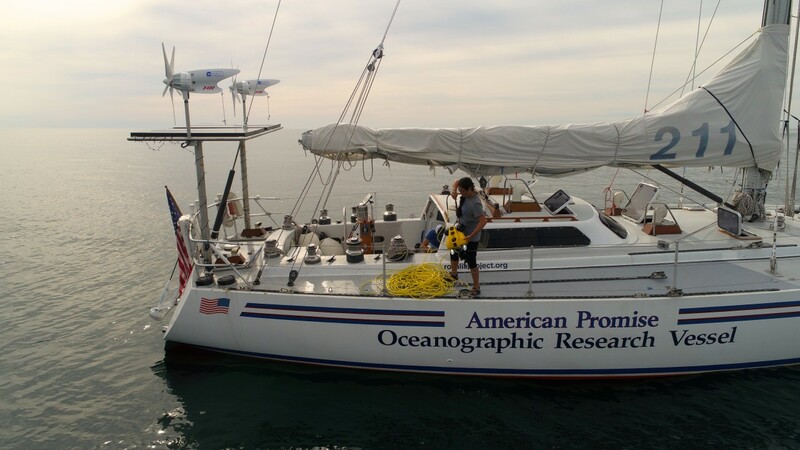 The organization specifically targets urban and coastal waters and deploys their VideoRay ROV from shore, harbors, and their research vessel, American Promise. The Rozalia Project’s discoveries have not only been used to educate our nation’s youth, they have also been used by researchers to help better understand the debris problem. Hector the Collector has helped demonstrate the amount of debris that is under the ocean’s surface, where people cannot see. The data that the VideoRay ROV has collected is adding to researchers’ data, making a big step forward in the overall mission for marine preservation. Rachael has been a part of the VideoRay family for many years and in many ways. She used to lead tours on Lake Champlain with a VideoRay Explorer to view shipwrecks. When she founded the Rozalia Project, she knew that VideoRay needed to be a part of helping her achieve her goals. Rachael describes the ROV as “Incredibly reliable and low-maintenance,” which is perfect for her overall mission of cleaning up our oceans and protecting them from future harm. An experienced ROV pilot and trainer, Rachael uses her skills to give students and people of all ages a glimpse into the underwater world and help educate them on how to preserve the marine ecosystem. The Tennessee Wildlife Resources Agency's Pro 4 ROV was used in a successful recovery effort in Crossville, TN. TWRA has used their VideoRay ROV for several searches for drowning or boat accident victims, including this notable Percy Priest Lake recovery. We are proud to host the Dutch Navy for Basic Operator Training this week at our global headquarters in Pottstown, PA. The individuals gained an in-depth knowledge of our VideoRay ROV systems, including setup, operation, and basic piloting skills. To see photos and hear about their experience, click here! Interested in VideoRay training? Click here for more details and registration information. VideoRay’s Pro 4 ROV, called “Rocky,” is in regular use inspecting Söder Mälarstrand, a quay in Sweden. This Pro 4 is equipped with both sonar and video cameras to provide a thorough and complete image of the underwater environment. Marie Fleetwood and Fredrik Fleetwood, the ROV pilots, work on behalf of the Port of Stockholm to inspect the quay for current issues and future maintenance work. “The pools in this dock are over a hundred years old. Many parts are amazingly intact, but in some places, it is seen that there are problems,” says Fredrik Fleetwood, which is why the VideoRay Pro 4 ROV is being utilized for inspection. The technology “is in many cases both better and cheaper than sending down diver. The underwater drone can enter confined spaces and operate in hazardous areas,” says Mattias Sandell, Technical Manager at Stockholms Hamnar. The McKean County Dive Team has added an ROV to their search and rescue team to help with efficiency and accuracy. The team completed VideoRay training early last week and is now prepared to operate the technology with precision. A VideoRay Mission Specialist (MSS) was used from June 16 to June 23, 2017, in the Gulf of Mexico for a 2nd Intermediate UWILD Inspection on a DNV classified drill ship. The MSS ROV cleaned 62 sea chest grates in the machine room, engine room, and pump room over the course of 3 days. Paul Chittenden, Business Development Manager at Proceanic, explained that “cleaning time is basically cut in half” with the Mission Specialist, saving the customer valuable time and money. The MSS system was transported to the location by boat and deployed from the drill ship. “High power in a small package…what more could you ask for? The MSS has greatly expanded the range of services we ever thought would be possible with a hand-launched mini-ROV,” stated Kyle Satula, Structural Engineering Manager at Proceanic. While the days flying the MSS were mild—1-2 knot winds and 0-3 meter waves—the inspection was delayed by a tropical storm, taking 2 and a half days away from the mission. Using cleaning tools from Cavidyne, the VideoRay Mission Specialist was able to get the job done and keep the customer satisfied despite the loss of time. Cavidyne technology quickly and safely removes fouling materials without disturbing varnish or anti-fouling coating, keeping the water free of heavy metals and contaminants. Stutsman County conducted a precautionary search for a missing person with a VideoRay ROV on August 18, 2017. The VideoRay ROV located the car belonging to the missing man, and authorities were able to recover the body.